I have been fabulously privileged to share our love for canoeing with the rest of the World. Rio was a huge inspiration; deeply disturbing; profoundly sad and proof in the value of teamwork. We have all grown in our own ways since London 2012. The Olympics upholds the faster, higher, stronger motto. Personal bests. New records. Outstanding achievements. The Brazilian nation. Our ICF media team. The deprivation that is very visible around Rio is deeply disturbing. It can’t be hidden behind fluorescent Olympic colours. Nevertheless, we witnessed great individual stories of out-reach for example New Zealand’s Mike Dawson. The fact that we left more cognizant of this has to be positive. We pledge to come back. We ask the IOC to please donate all the stuffed toy mascots to the local kids in Rio. The canoeing world is left with a deep sense of loss too. We lost one of our own canoe slalom community. German women’s coach Stefan Henze was tragically killed in a taxi in Rio. Stefan was an Olympic silver medallist in Athens. We saw incredible teamwork, the Brazilian’s came together and embraced the overseas sporting world. Athletes from different nations lent a hand to each other. Sport does unite us. In the space of three weeks, I produced a 24,000-word blog series and more than 1,000 live tweets using hashtag #ICFslalom and #ICFsprint. We have one final post soon on the Planet Canoe Rio 2016 blog with what the social analytics tell us. I didn’t compete. That doesn’t matter. I know I have left Rio, faster, higher, stronger and more enriched than when I arrived. Adeus Rio. Featured image photo credit: Balint Vekassy, ICF photographer. In my opinion, the very best image from the canoe slalom in Deodoro. Pictured is Jana Dukatova (SVK). Here is a quick reference index to my daily Rio 2016 canoe slalom blog on the ICF Planet Canoe website. Welcome back to the daily canoe slalom Olympic blog. A whole 4-year Olympic cycle and we are back here again. Welcome to my 2016 contribution that is published on the International Canoe Federation (ICF) website. This is intended to provide the one-stop shop for everything you could possibly wish to know about canoe slalom at the Rio Olympics. It is important and wonderful to see the World Paddle Awards grow and build. They demonstrate the true breadth of these incredible paddlesports about which we are all so passionate and help us learn about the people behind them. “In addition to all my wonderful memories of the sport, it was fitting to see that the future of the sport would be in such capable hands”, says Lifetime Achievement Award winner, Bill Endicott. Masia Almiral de la Font near Sitges, Spain provided the beautiful backdrop for the 2nd annual World Paddle Awards. The run in to the Rio Olympics begins. We expect many more paddlers around the globe will be able to say Qualified for Rio in the Canoe Slalom, Canoe Sprint and Paracanoe. I will be providing commentary on Twitter through @PlanetCanoe on behalf of the International Canoe Federation (ICF). We have World Cup races between now and Rio in all three olympic events. Here is a full listing and links to my canoe slalom articles during 2015. These were posted to Sportscene.tv, International Canoe Federation as well as this blog. 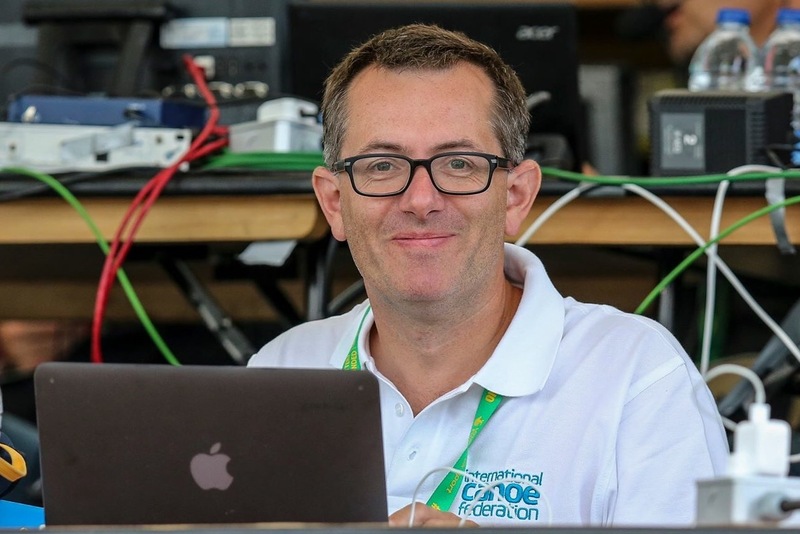 Through the year I provided live race commentary on Twitter via @gregiej @planetcanoe and using #ICFslalom. I have been following the Brazilian Canoe Slalom Team since 2012. In these 3 years they have made stellar progress towards their podium hopes at their home Rio Olympics. The statistics reveal a very high historical correlation between Junior World Champions and future Olympic medallist – so you wouldn’t bet against Ana Satila being on the podium on her home course in Rio next summer! Read my latest article to find out why. You can also read the original 2013 “An Evening with the Brazilian Canoe Slalom Team” article here. The ICF Canoe Slalom World Championships marked the next step in this journey, first taking this blog to Sportscene.tv in January 2013 and now to the ICF Planet Canoe website plus @PlanetCanoe Twitter account. I’m again very honoured. With the UK’s Daily Telegraph dedicating a shameful 21 words to David Florence’s latest World Championship title I am very grateful that we now have control of the delivery of content! Congratulations to our new Cane Slalom World Champions. I provided a preview article to the ICF called 10 pointers for canoe slalom showdown. I must compliment the ICF on the way in which they have improved their live results, athlete interviews and live feed video through the Planet Canoe YouTube Channel. It is great to continue working alongside Matthew Leighton. Through the great World Championships at Lee Valley I posted 673 tweets through @PlanetCanoe. Although there were two somewhat competing hashtags being promoted through the event, we generated 3,175 with #ICFslalom during the week which generated 10 million impressions on the last day alone. Interestingly, those which referenced the UK BBC TV Blue Peter presenter challenge with Russ Smith & Tim Baillie on the course actually generated the most timeline deliveries and retweets!! Here is a link to the latest 2015-4 ICF World Rankings. Here is a full listing and links to my 2015 articles posted on Sportscene.tv during 2015. For live ICF race commentary follow me on Twitter @gregiej. Below you can follow the links to both previews and reviews of the Junior / U23 ICF World Championships, ICF World Cup series and Pan Am Games #TO2015.